At last we have the White Paper. Not, alas, one that is likely to survive opposition from either Tory Brexiteers or the EU. Criticised by both Brexiteers and Remainers, albeit for starkly different reasons, it seems likely to become one of the great might-have-beens of British politics. Importantly, Theresa May narrowly saw off Remainer efforts to commit Britain to remaining in the Customs Union in the case of a no free-trade deal, with the invaluable help of four Labour Brexiteers, including Frank Field and Kate Hoey. The PM had to capitulate, however, to four amendments proposed by the European Research Group. One of these, enshrining the principle of reciprocity in the collection of custom duties, is probably enough to kill the deal in Brussels. Number 10, however, insists that the White Paper plan was already characterised by reciprocity, in which case it contained the seeds of its own destruction. Michael Barnier has already poured cold water on the customs proposals, quite reasonably suggesting that they will open Europe to smuggling. He has also stated that he does not want to construct a border in the Irish Sea and repeated his calls for the issue to be ‘de-dramatised.’ A bit rich, from the author of the drama, but a definite signal that Brussels may settle for a limited range of checks (e.g. on animals coming into NI on ferries) that the DUP could live with. The EU is likely to string things out while trying to carve out further concessions, but in our view, the Chequers plan should be abandoned as soon as possible. 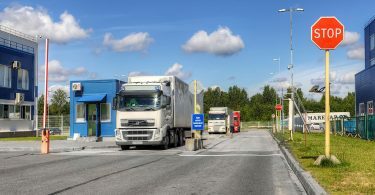 The good news is that no-deal planning has been stepped up in the UK, with the announcement of a series of 70 public notices to prepare people and businesses. The EU is also belatedly warning its own people of potential damage from no-deal. We may thus be approaching the stage in which real negotiations begin, But, not before Irish Taoiseach Leo Varadkar’s attempted one last idiocy, as he claimed UK planes would be blocked from flying over Irish airspace in the case of no-deal. Unfortunately for Mr Varadkar, access to airspace is guaranteed by international treaty not the EU, but in any case who believes such implausible threats? Not us. The EU has signed a free trade deal with Japan, but it looks like talks with India will be abandoned. The UK is India’s biggest European trading partner, and a deal with the UK when it has left the EU is likely to offer more to both sides. Trade deals like this are what Brexiteers must continue to fight for. BfB contributor, the eminent philosopher Prof John Gray, featured in a 10-minute piece on Brexit for BBC Points of View. He argues the European Union is no longer a force for liberalisation and its approach to immigration has led to the rise of far-right movements across the continent. Remainers insistent on overturning Brexit risk returning the UK to a ‘dark European past.’ Gray, who retired as Professor of European Thought at LSE in 2008, argues that we should instead be looking to the future. BfB co-editor Dr Graham Gudgin’s objections to the Chequers Agreement were published in the Sunday Telegraph last week. He argues that the UK should accept a Canada–style free trade agreement. He examines common problems cited as evidence that Britain should stay in the Customs Union, and offers simple, practical solutions. BfB co-editor Robert Tombs has this week published a piece for Reaction, arguing that Brexit is a symptom of a traumatic realignment in our politics, the consequences of which are still being worked out. On a lighter note, those who missed it in last week’s Spectator might enjoy Robert’s article ‘The World Cup has made us proud to be English’, which deals with Englishness and that (alas) now distant World Cup cheer. On Monday, Policy Exchange will publish a paper by Cambridge political theorist Dr Chris Bickerton arguing that Brexit is happening partly as a result of the UK’s ‘flexible labour market’ growth model. Leaving the EU may be the only way of transcending this model in favour of a (more European-style) ‘high investment in people’ growth model. Thus, Brexit provides an opportunity for historic change in Britain’s political economy. The paper’s release will coincide with a panel discussion on the theme ‘Is Britain’s Growth Model Broken – and Can Brexit Help to Fix It?’ held in London. Subscribers are warmly invited to attend. RSVP is essential; to register please follow the link below. Maria Caulfield the Conservative MP for Lewes was one of a clutch of senior resignations from Theresa May’s government following on from the Chequers agreement that saw fellow Brexiteers the Brexit Secretary David Davis and the Foreign Secretary Boris Johnson resign. 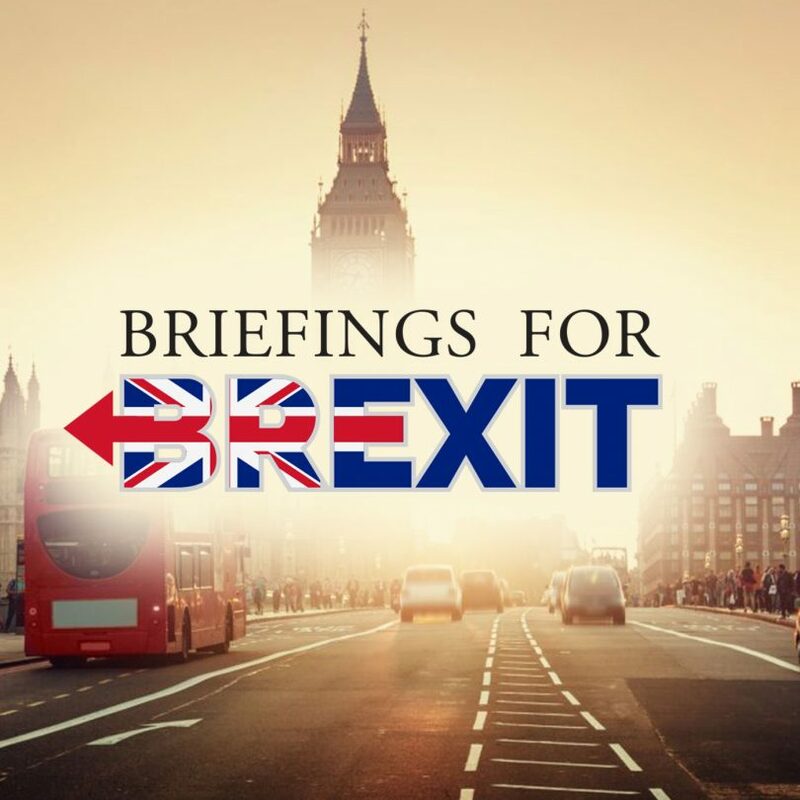 In this special BfB podcast interview Caulfield gives us her assessment of those concessions Jacob Rees Mogg’s European Research Group secured to the Customs Bill, why she can now live with it, and why she believes a leadership challenge to Theresa May would be counter-productive. Dr Philip Towle, Emeritus Reader in International Relations in Cambridge, argues that British opinion on Brexit is emotionally polarised. Realism will again prove more prophetic than idealism but learning its lessons will be painful. Dr Joanne William argues that the culture war against Brexit, having now been waged for almost three years, is growing increasingly desperate in its attempts to besmirch Leave voters. She exposes the crude insults and weak arguments underlying this effort. Paul Brewer, CEO of Rubicon Fund Management, London, contends that the EU has failed to create a free and single market for services, which account for most of the British economy. Most financial services are restricted to the domestic markets of EU member states. The ‘passport’ regime under which financial service providers operate is far from frictionless. The impact of Brexit on the British financial industry will therefore be limited. Prof Richard Tuck, Professor of Government at Harvard University, argues that if Theresa May were really to care about the actual possibility of the United Kingdom dissolving, the worst thing she could do would be to go down her present path. Ben Cobley argues that identity politics provides the only serious moral (or moralistic) element in the Remain campaign. It draws simple dividing lines of good and evil, right and wrong. It sets out to create negative associations towards those on the Brexit side, and a contrasting moral, virtuous aspect to those who voted Remain. 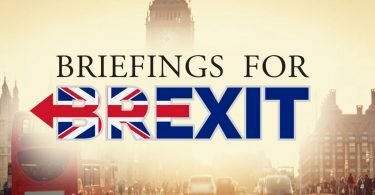 We are on Twitter at https://twitter.com/briefing4brexit retweeting the daily events that bring Brexit to the fore in the national news.